Learn how to protect your child from increasingly common childhood diseases - starting before pregnancy! How can a woman protect the health of her future child? This book provides women with safe recommendations for a healthier pregnancy and new baby. Researchers have found dozens of risk factors for autism and ADHD. Dr. Hamilton has reviewed over 600 published medical studies to help women reduce their risk factors. This comprehensive book on maternal and new baby health is arranged in four parts: (1) saving our children, (2) prevention before pregnancy, (3) prevention during pregnancy, and (4) prevention during the first several years of life. Although medical in nature, the book is clearly written and understandable to the lay reader. The book helps women understand the mother-baby health bond and that a woman's health starting before pregnancy has a profound influence on the health of her future child. Dr. Hamilton helps the reader improve their maternal health by addressing hormones, the immune system, and nutrition/digestion/toxins through the Triangle of Prevention. 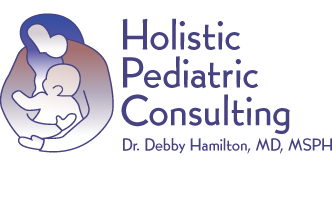 Dr. Hamilton provides a complete overview of how parents can minimize the risk of autism and other developmental disorders. I appreciate how thorough she is in her research and the specific nature of her advice. She focuses on how to eliminate toxins from your life before, during, and after pregnancy, and how to maximize nutrition to provide everything a developing baby needs during these crucial, formative years. 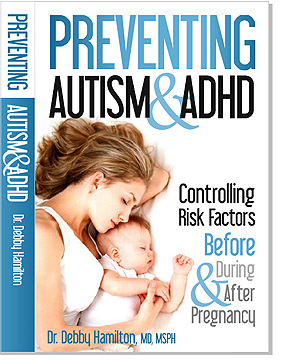 I spend more and more time in my office advising parents on how to reduce autism risk, and this book will be frequently recommended.